The Taiwanese hardware maker Gigabyte Technology will soon start the sales of its latest Aivia Uranium gaming mouse on the European market. The new company product is available in black and is suitable for left- and right-handed people. The mouse measures 130 x 78 x 40 mm and weighs 114 grams (batteries not included). 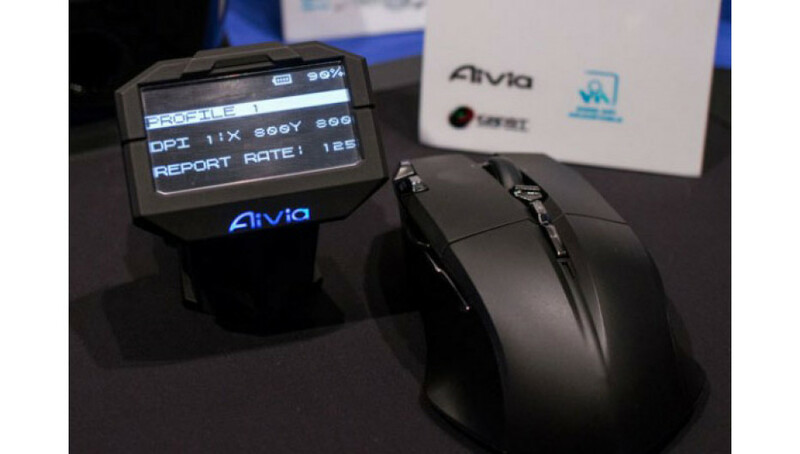 The Aivia Uranium has a laser Twin-Eye sensor that allows the mouse to work on all kinds of surfaces. The mouse also makes use of wireless GamePlay technology and has an external GHOST Macro Station module with a built-in OLED display that allows real-time changes of the 100-6500 dpi resolution and shows gaming profiles, the refresh rate and the condition of the required AA batteries. They provide up to 50 hours of wireless usage but when they die you can connect the mouse to a computer to get power from there. Gigabyte asks for EUR 79 for the Aivia Uranium gaming mouse.